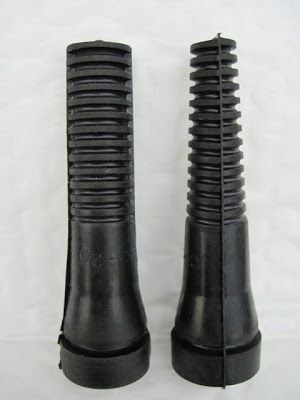 These fingers are made out of top grade rubber for chicken and duck de-feathering machines . 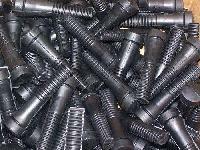 Various Colours Available as per customer requirement. 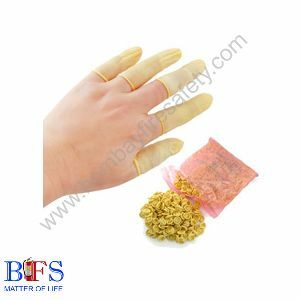 Chicken feather removal rubber fingers color black, green, white widely we are manufacturing different verities of feather removal fingers. 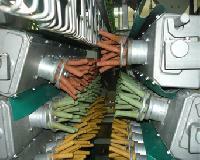 We are pleased to provide Slaughter Machine Plucker Finger in India. 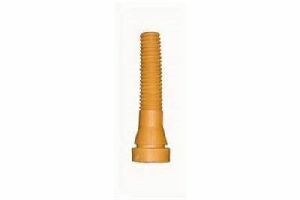 We are offering chicken rubber finger. The juicy Chicken Select Tenders are made of 100% chicken tenderloin and are seasoned to perfection. 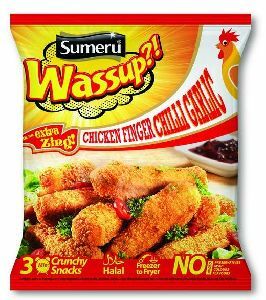 Details of Chicken Spicy Fingers Party Pack 750 gm Halal Cut Ingredients : Chicken Breast Boneless, Ginger Garlic Paste, Lemon Juice, Coriander, Vegetable Oil, Garam Masala, Chat Masala, Salt, Red Chilli Powder & Turmaric Powder. ALL NATURAL. NO PRESEVATIVES USED Instructions For Preparation: Shallow fry on non stick pan and serve hot. 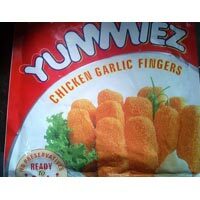 We are reliable Yummiez Chicken Garlic Finger Supplier in Pondicherry. 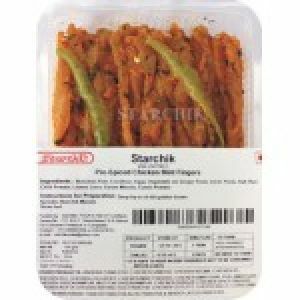 We procure Chicken Garlic Finger from eminent vendors to ensure the hygienic value of the item. 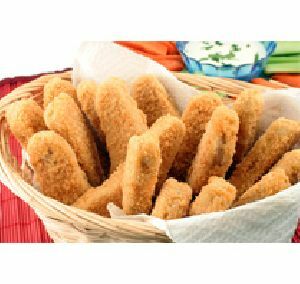 We supply Chicken Garlic Finger which is made from good chicken. Our Chicken Garlic Finger does not contain Trans Fat, further making it healthy to consume. 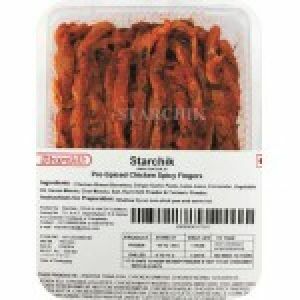 Chicken Fingers Type of Storage: Frozen (-18* C) Best Before: 9 Months Pack Sizes: 250g., 500g. & 1Kg. BREADED FRIED CHICKEN FINGERS WITH INTERNATIONAL TASTE. CEN BE DEEP FRIED AND CONSUMED. 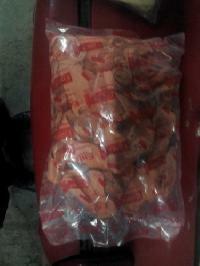 We offer Rubber finger in red colour and white colour 144 pcs in one packet. 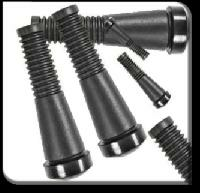 We are manufacturing different types of chicken feather cleaning rubber fingers. 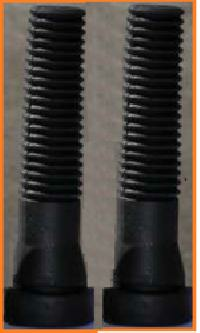 Round, round flat, round tapper, oval head types are also available with varieties of few colors. 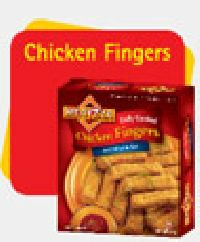 Details of Chicken Mint Fingers Party Pack 750 gm Halal Cut Ingredients: Chicken Boneless, Vegetable Oil , Ginger Paste, Garlic Paste, Salt, Chopped Coriander, Mint, Green Chillies, Dhania Powder, Red Chilli Powder, Turmaric Powder, Garam Masala. ALL NATURAL. NO PRESEVATIVES USED Instructions For Preparation: Shallow fry on non stick pan and serve hot.